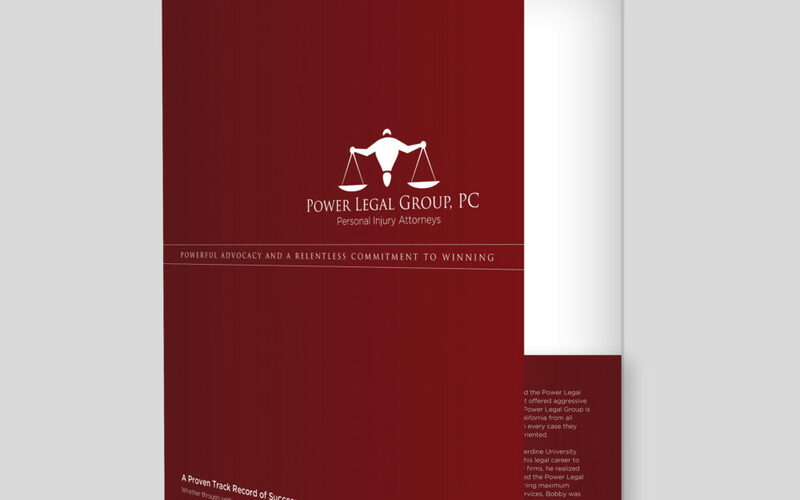 This law firm strives to bring justice to those who do not have a powerful voice of their own. 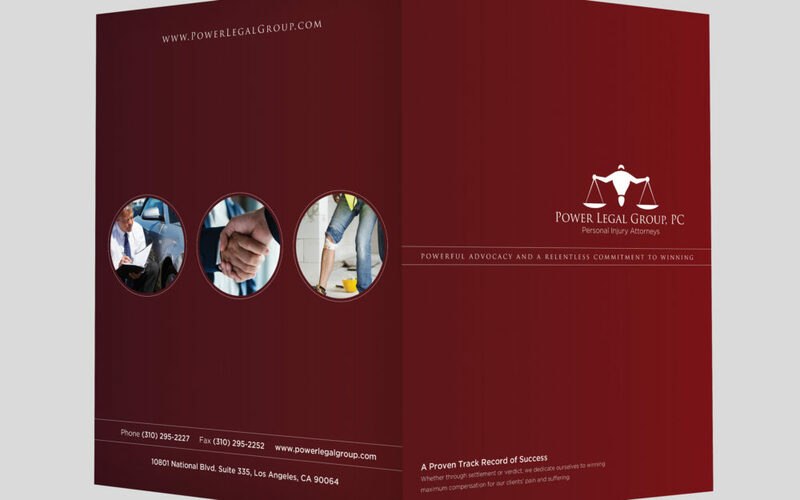 Meeting with their lead attorney, Bobby Yaghoubian, I got to know more about his case method and what types of jobs their firm specializes in. 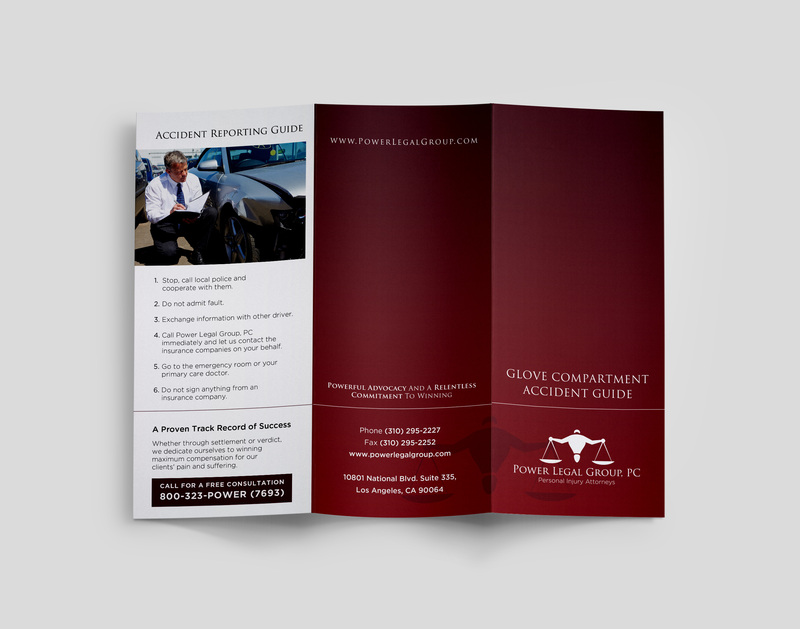 Together, we came up with marketing collateral including brochures and presentation folders that would be both functional and educational. 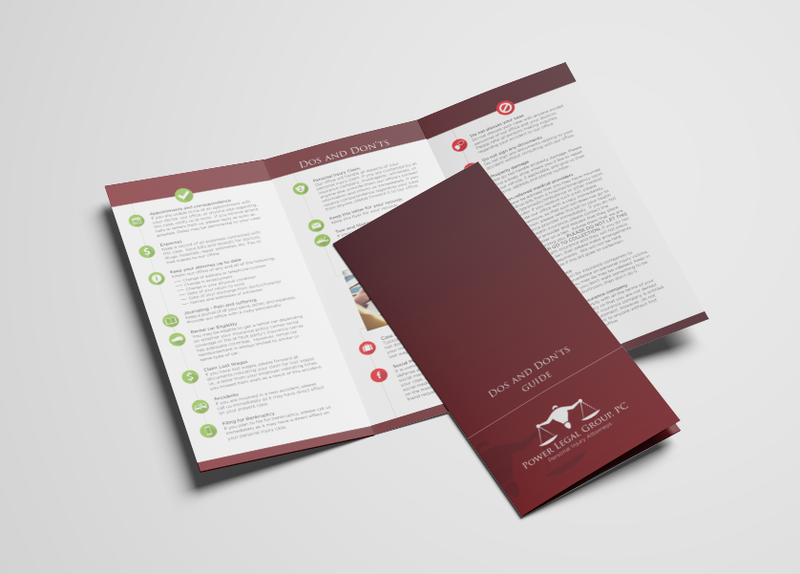 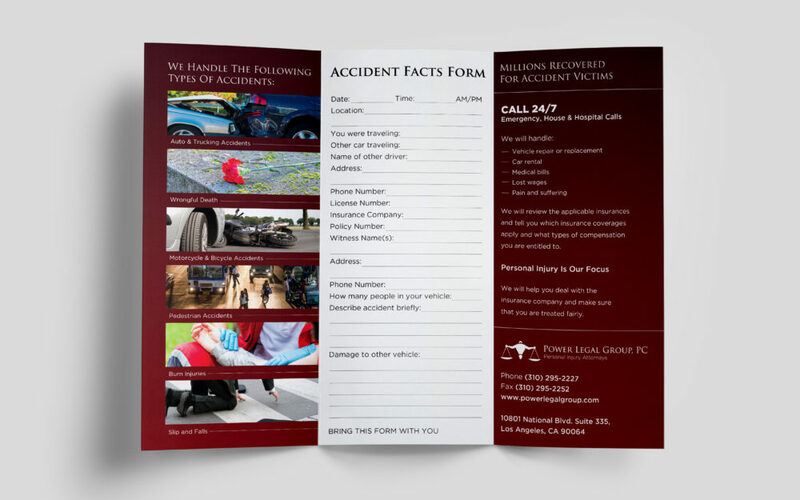 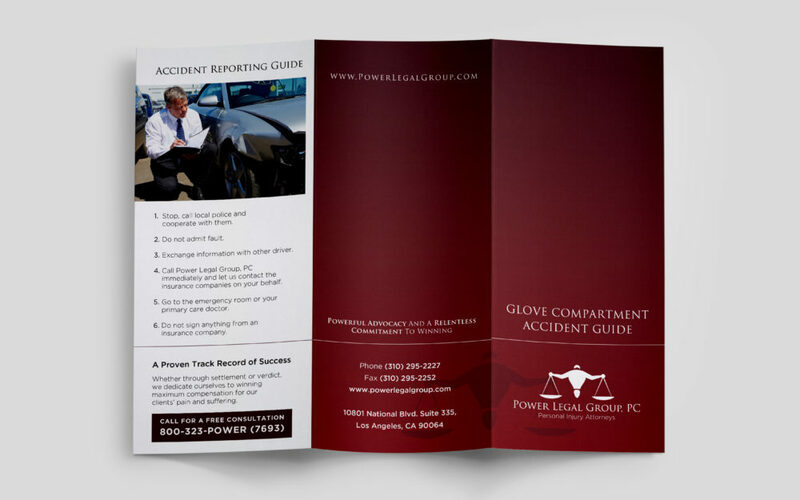 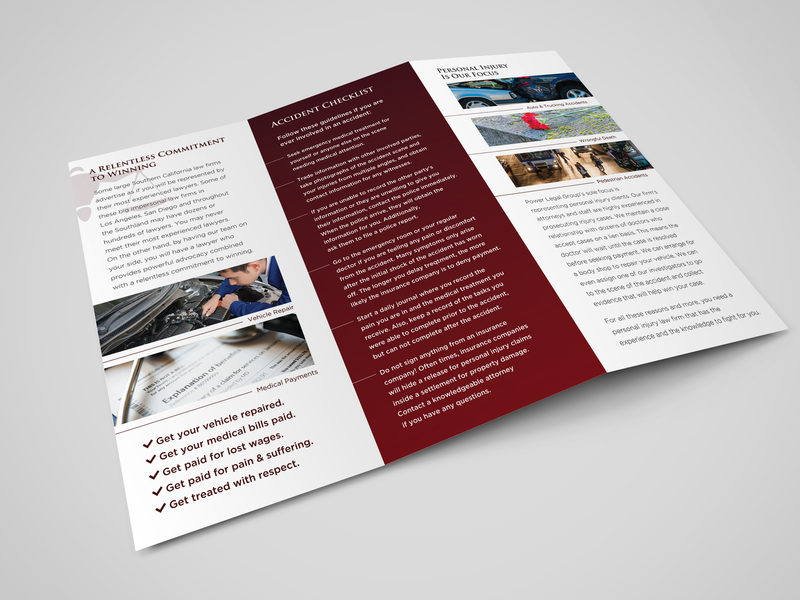 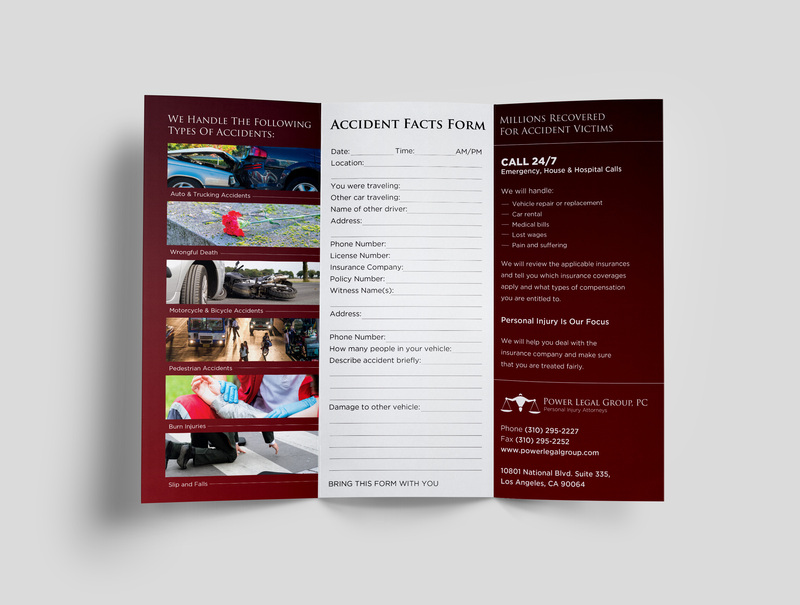 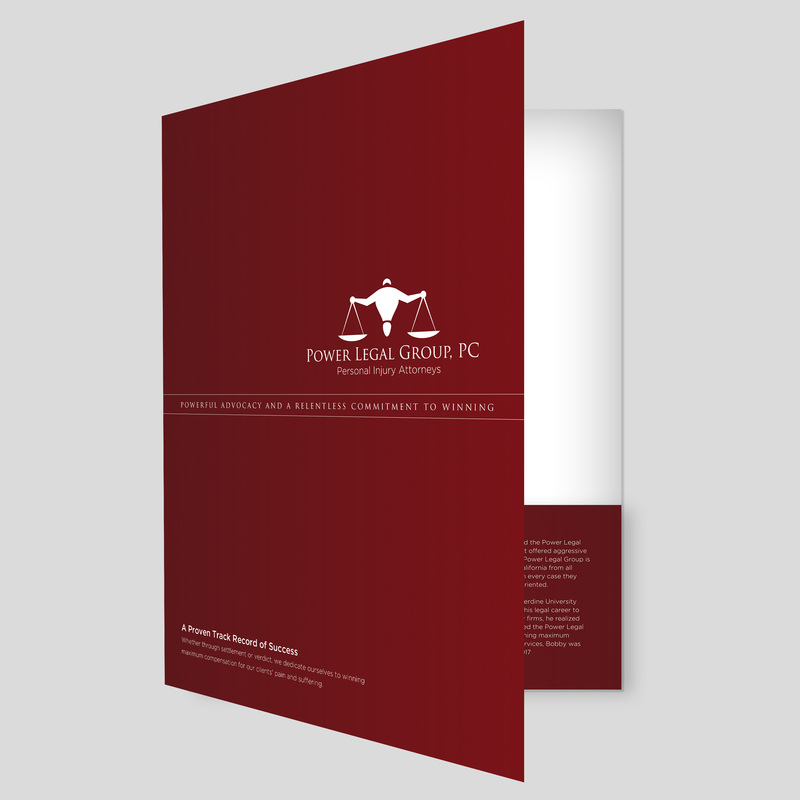 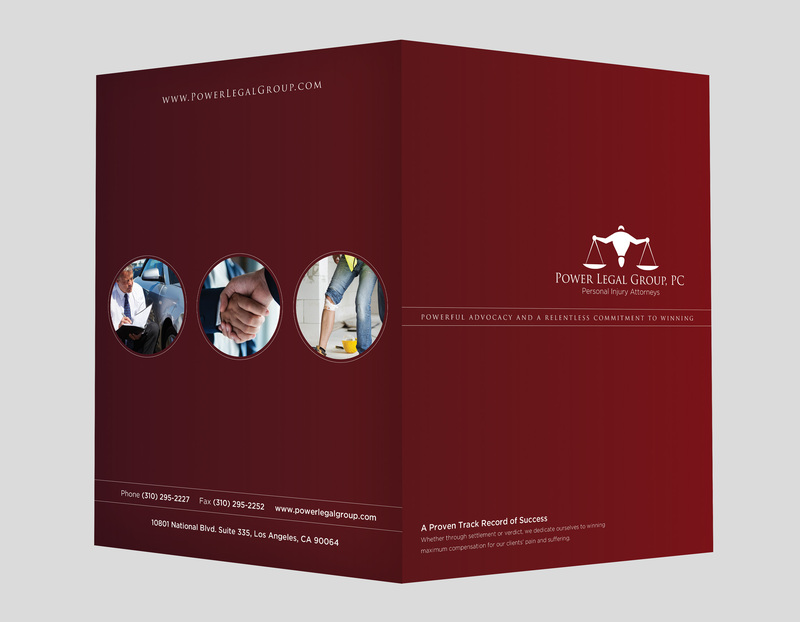 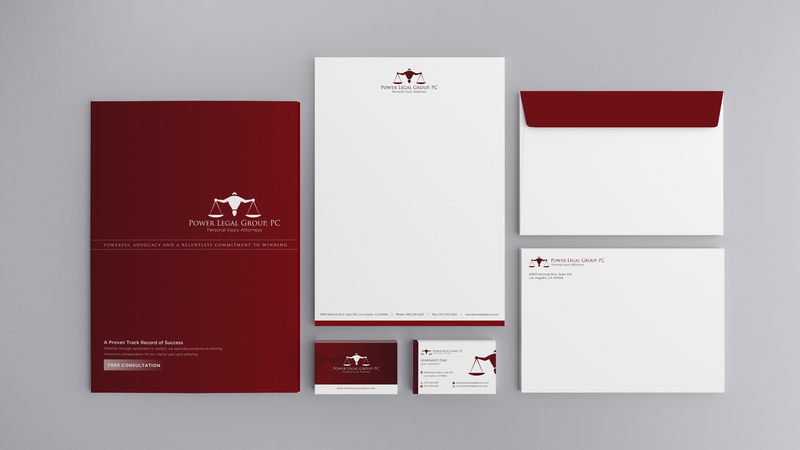 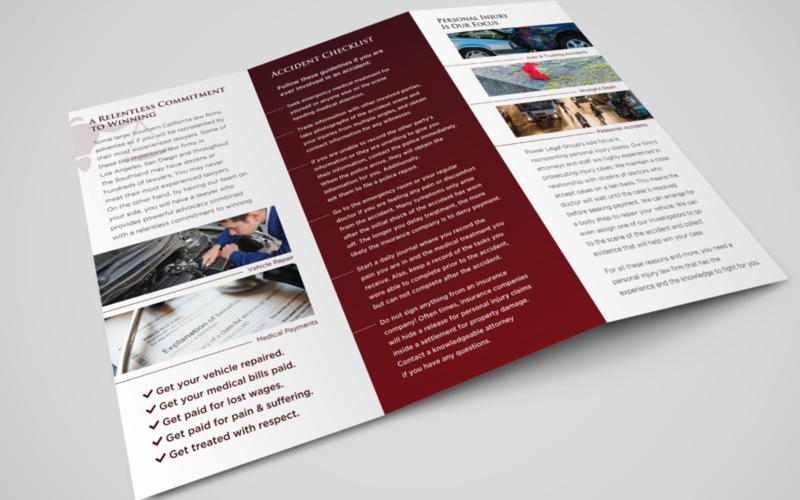 The presentation folder showcases their law firm in a trustworthy light, and the accident guide brochures are meant to assist a victim in case of an unexpected injury.